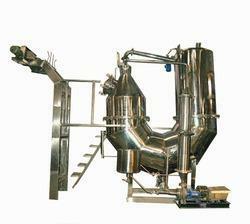 We manufacture Jet Dyeing Machines We Use that is widely used in textile industry for dyeing purposes. These are designed and developed using supreme quality raw material in adherence to international quality standards. The machines offered by us are appreciated for their low maintenance, easy usage, high performance and long service life. These machines are available at market leading price. Our clients are offered with old Jet Dyeing Machines that are widely used in textile industry for dyeing purposes. Manufactured under the strict vigil of our technocrats, these are developed in adherence to international quality standards. The machines offered by us are appreciated for their low maintenance, easy usage, high performance and long service life. High Temp. : Up to 140 Deg. C.
High Temp. : Up to 140 Deg. C.
In order to cater the numerous necessities of the patrons, we have been able to provide a wide range of Jet Dyeing Machine. Taesin I & T Co.
We are highly acclaimed in this industry for providing an optimum quality range of Jet Dyeing Machine. Our company is a well known manufacturer and supplier of an excellent range of pharma, textiles and chemical equipments which are made using the best quality of tools and the machinery available in the market. Keeping in mind the ever-evolving needs of our clients, we are devoted towards offering an optimum quality array of Industrial Jet Dyeing Machine. It is made of stainless steel in U Tube Jet Dyeing Machine and conical construction equipped with a port and cover for the fabric loading the middle. The autoclave is pressurized by compressed air. 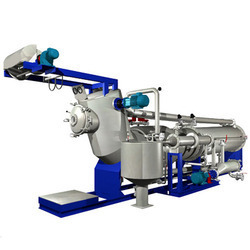 In order to cater the variegated demands of our precious clients, we are manufacturing a wide range of Jet Dyeing Machine.